Isn’t this a language of a worse category? Happily now I know how many possibilities we can find around this language. So now the programmer can just focus on creating the final effect, instead of wasting valuable time on creating dozens of workarounds. 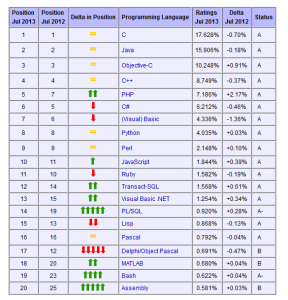 Let’s take a look on tools like the TIOBE Index. In a nutshell: this index is based on the number of information searches about the language (each Turing complete language) in search engines. PHP SDK usage was minimal – only where really needed. One FB application (really big) worked even without database in the backend (all data fetched from Facebook in real-time, using Facebook JS SDK, and processed in jQuery). But this is a topic to use in further articles. 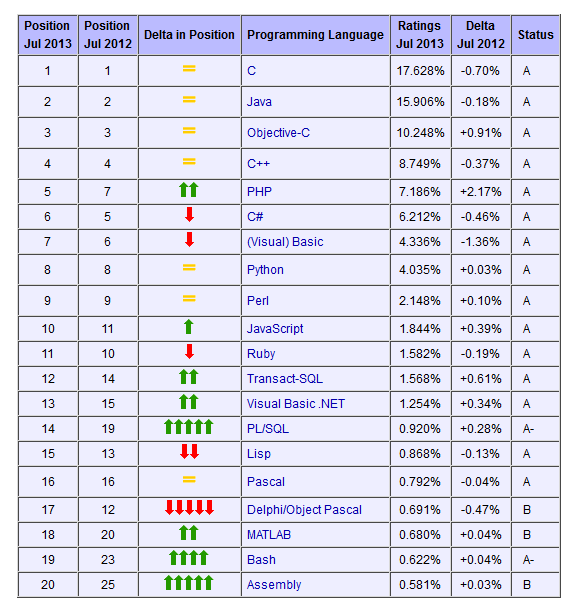 And we as developers, will taste a piece of this interesting cake. Using the comment form below, you can paste links to other sites, that are interesting in your opinion.